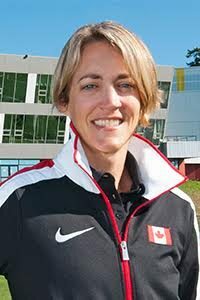 TORONTO – Today, the Canadian Olympic Committee (COC), the Canadian Paralympic Committee, the Government of Canada (Sport Canada), and the Canadian Olympic and Paralympic Sport Institute Network announced a new initiative in collaboration with nine universities across the country to offer Canadian National Team athletes more flexible education opportunities while they are training and competing. The universities include Royal Roads University, University of British Columbia, University of Calgary, Athabasca University, Ryerson University, Queen’s University, McGill University, Concordia University, and TÉLUQ University. Provide accommodations for reduced course loads and the ability to postpone and resume studies. Game Plan’s team of athlete advisors will work alongside each university appointed staff member to ensure athletes are supported. The aim is to expand the Game Plan Education Network in the future by having more universities, colleges, and other post-secondary institutions join across Canada. The Education Network is launched as part of Game Plan, Powered by Deloitte, an athlete holistic wellness and transition program initiated in September, 2015. The program aims to support active and recently retired Olympic, Paralympic, and National Team athletes in all areas of life by offering a wealth of services and resources including career management expertise, health services, education opportunities, skill development and networking. Since its launch, over 600 athletes have used Game Plan resources and 230 have attended the first two annual Game Plan Summits, held in Vancouver and most recently in Toronto at Deloitte University, located in the firm’s new national office. This announcement comes on the heels of a truly groundbreaking partnership struck between the COC and top Canadian business school, Smith School of Business at Queen’s University. Joining the COC and Game Plan as a founding partner, Smith School of Business will provide world-class business education to up to 1200 active and former athletes over eight years, collaborate on strategic coaching initiatives, and provide customized leadership training for COC staff and partners. Game Plan’s programs and services, including this Education Network, are being created in collaboration with the program’s presenting partner, Deloitte, which signed an unprecedented 16-year partnership agreement with the COC to ensure its success. Game Plan is also supported by founding partners Smith School of Business, RBC, and Morneau Shepell.